The Bundesliga is one of the top 5 leagues in Europe and currently ranked 4th by UEFA's league coefficient ranking. Bundesliga football tickets provide you with some exciting football matches. Whether you select Bayern Munich tickets or another team, it's bound to be a great experience. The teams currently in the Bundesliga are: FC Augsburg, Bayer 04 Leverkusen, FC Bayern Munich, Borussia Dortmund, Borussia Monchengladbach, Eintracht Frankfurt, Hannover 96, SC Freiburg, Hertha Berlin, Stuttgart, TSG 1899 Hoffenheim, FSV Mainz 05, FC Nuremberg, FC Schalke 04, RB Leipzig, SV Werder Bremen and VfL Wolfsburg. 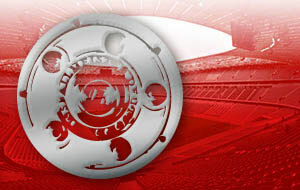 Buy football tickets to any Bundesliga team securely online through our secure booking system. 1st4 Football Tickets sells German football league tickets for home and away matches. See world's best players playing in Germany. You can either buy your German Bundesliga football tickets online through our secure online booking system. Who will win the German Bundesliga this season? Buy tickets now and see Bayern Munich, Leverkusen, Borussia Dortmund, Werder Bremen and many other teams. Call our German Football Ticket Hotline for more information or buy other football tickets such as Champions League 2018 tickets and Champions League Final tickets. Buy German Bundesliga home tickets and away tickets securely online.